Why do the yips have such a stranglehold on some baseball players? Why is it so difficult to break away from the clench of the yips and regain that freedom of just making accurate throws? Many baseball players view the yips in fatalistic terms. These players feel powerless to overcome the yips. The baseball lore of the yips being a career-ender looms over player’s heads like an incurable disease. But, for every baseball player destroyed by the yips, there are countless others who have beaten the yips. Are you really willing to allow the yips to win out? 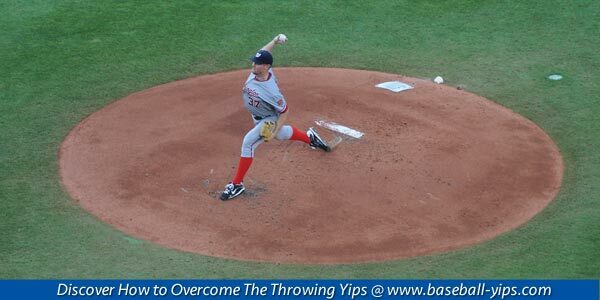 You may never be the same after experiencing the yips but that doesn’t mean you are worse off as a baseball player. 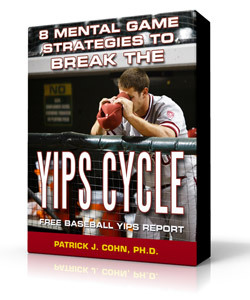 Just possibly, the yips can teach you about the mental side of the sport and the importance of developing your game mentally and physically. In this sense, your ability to conquer the yips can prove to be beneficial by developing a stronger degree of mental toughness. Cincinnati Red’s prospect Tony Renda refuses to allow the throwing yips to halt his career. Renda is a young second baseman who split time last year between the AA affiliates of the Washington Senators and New York Yankees. In 64 games with the Trenton Thunder, Renda made 19 errors, almost one error for every 16 chances. Thunder manager Al Pedrique knows Renda has the skills and ability to make an impact in the big leagues despite having his bout with the yips. Pedrique is confident Renda can get the yips issue corrected and loves Renda’s attitude towards facing this challenge. Armed with the proper mentality, you too can conquer the yips. Strategy #1: Instead of viewing the yips as a deadly, career-ending disease, see the yips as just another baseball challenge. When you face a new pitcher, you normally watch your teammates facing that pitcher. You come up with your own strategy on how you will approach your at-bat. Even if that pitcher strikes you out, you take that feedback and try a new approach on the next at-bat. This is the mentality you need to conquer the yips. Look for your best angle of attack. Strategy #2: If is best to fight fire with fire. If the yips are a mental “thing,” then commit to improve your mental game. The good thing about strong mental skills is that you can apply them to other areas of your game and even prevent some issues from ever popping up in the first place.